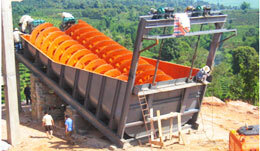 Ball mill is crucial equipment for grinding after silica sand raw materials are crushed. 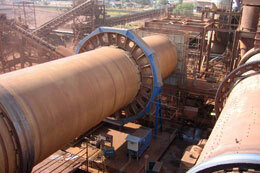 Ball mill is an efficient tool for grinding silica sand into silica powder. There are two ways of grinding: the dry process and the wet process. It can also be divided into tabular type and flowing type according to different forms of discharging material. Ball mills are widely applied in cement industry, chemical industry, new building materials, fire-resistant materials, fertilizer, porcelain and glass industry etc. Raymond can replace the ball mill is a new, highly efficient, the use of closed circuit for high fine powder devices. The Raymond adapted to small and medium mining, chemicals, building materials, metallurgy, refractory materials, pharmaceuticals, cement and other industries. The Raymond grinding mill is popular in the traded of mining, building materials, chemical engineering and metallurgy for size reduction, dispersion, or specialized needs, powder generation and processing for industrial process.